Give your team more cost awareness by sending them AWS cost reports right in Slack. Encourage collaboration and discussion around your AWS cost with various stakeholders in your organization. Our cost reports take less than a minute to digest and helps you ensure your costs do not spiral out of control. Adding CloudForecast to your Slack takes less than 10 minutes. 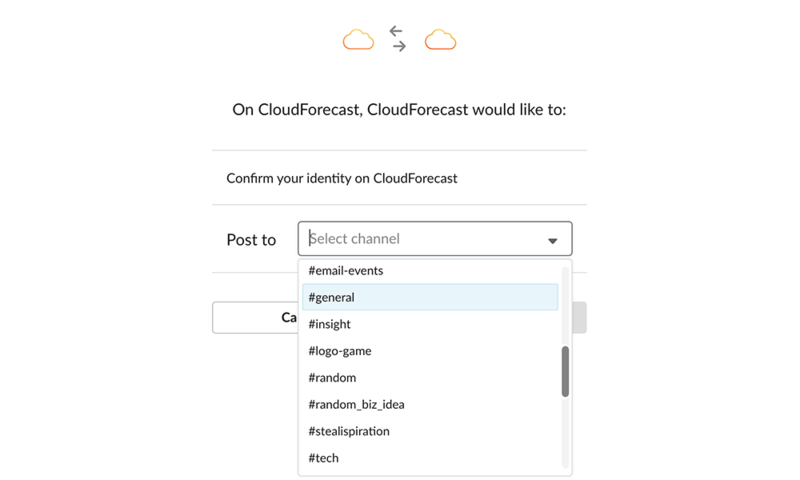 You will need a CloudForecast account to use our Slack integration. 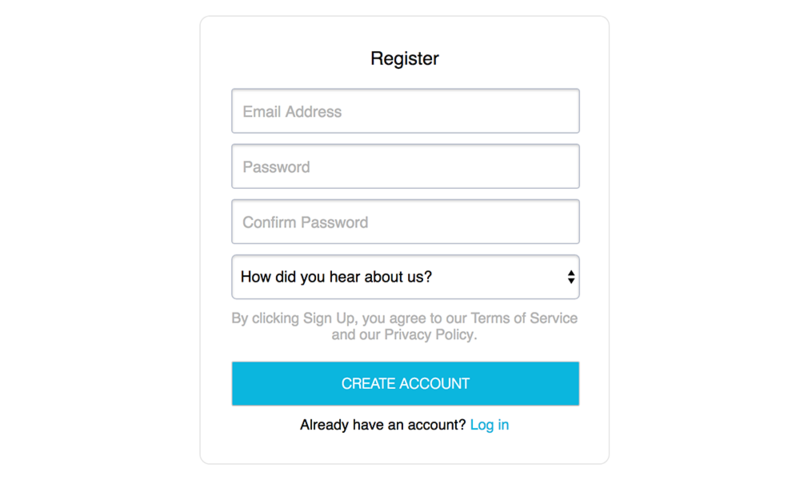 Signing up for CloudForecast is quick and easy. We offer a risk-free, 30 day free trial for all new sign ups. Configuring your cloud credentials in AWS takes less than 7 minutes. We only require read only access to a S3 billing bucket from your console to get started. We provide all the steps and documentation you need to get through this secure & simple process. The last step is to add CloudForecast to your Slack and pick a channel where you want the cost report delivered to. CloudForecast will send the daily cost reports after you have received your first cost report. AWS cost on a daily, weekly and monthly basis in your email inbox. Our Daily AWS Cost Reports makes it simple to help your team keep AWS cost top of mind. Our easy to read daily email reports provides detailed analytics across total spend, spend forecast, product, region and tag. Create individualized AWS Cost Reports that are tailored to your team needs with our Custom Reports Tool. With dimensions such as AWS Sub Accounts and Tags, you can bring AWS Cost Awareness across all organizations and only show what is important to them. We understand that every business is different and AWS monitoring varies from team to team. Configure your own spend alerts for product, region or tag to help you monitor your AWS costs closely. Our emails reports give you detailed reports on daily, weekly, monthly, product, region, tag spend and sub accounts. Focus on building product and shipping code. In less than a minute, our daily email reports will give you full visibility into your AWS account and what needs your attention. After you configure your alerts, leave the rest to us! Your daily emails will alert you if there are any parts of your AWS that needs your attention right away. 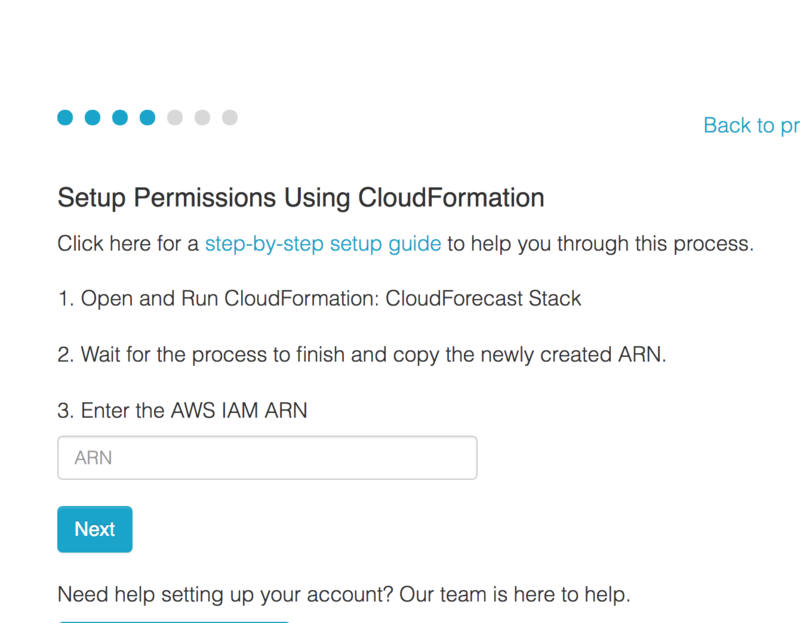 Let CloudForecast be a second eye for your AWS cost. Click on any of the product, region, tag or sub account graphs in the email and you'll be led into a deeper dive of your AWS cost. Our graphs are interactive and easy to understand so you can easily track any abnormal spending. Our daily emails give you an accurate forecast of your monthly spend, giving you more visibility into your costs on a monthly basis. We give you the ability to send our reports through other means outside of emails. Our integrations with Slack, PagerDuty and Opsgenie ensure that our cost reports and alerts are being delivered to the right person or team. We know cost analysis is more than just looking at one day worth of data. Our dashboard provides previous cost reports that were sent so you can always go back and analyze when needed.